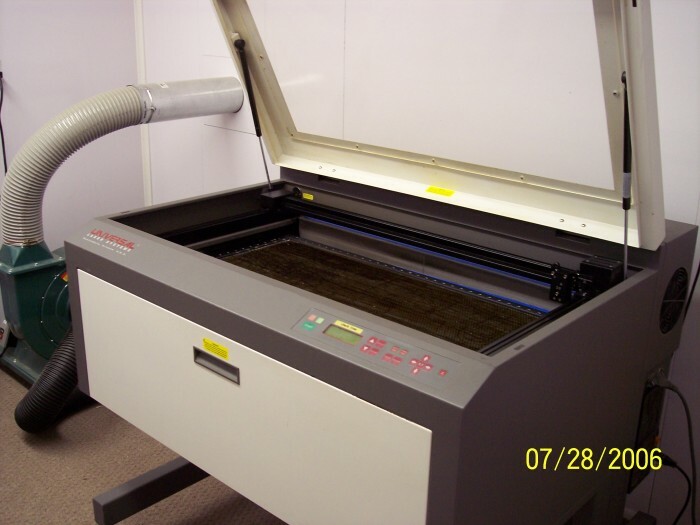 We have been using Walt's laser cutting service for several years now and have nothing but good things to say. He has cut dozens of jobs for us with materials such as G10, Balsa, Plywood and CF plate. His machine is a ULS (Universal Laser Systems) 2X600. The power rating is 100 watts and table size is 18” X 32” (cutting area). The machine operates from Corel 10 files. He can convert DXF and DWG to the required format depending on the version or release number.